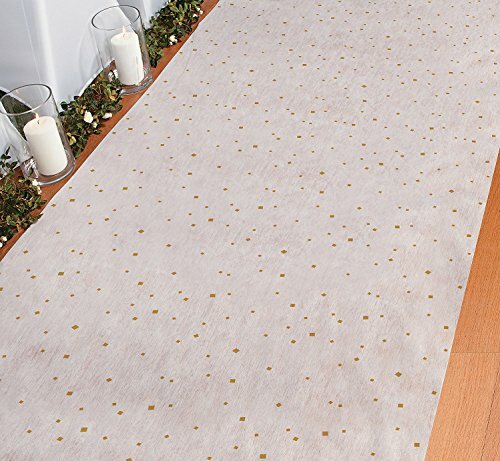 Make your walk down the aisle even more special with this Gold & White Wedding Aisle Runner. This wonderful wedding decoration features a classy gold square pattern to coordinate with many wedding colors. Roll it down the aisle before seating your guests to add an extra special detail to your wedding march. Polyester. 3 ft. x 100 ft. String will help you roll it out on the surface! String is Included.